Supporter of far-right group arrested at anti-Islam rally in London, Ont. The largest protest in recent memory in London pitted anti-Islam groups against counter-protestors on Saturday. An estimated 500 people gathered in front of City Hall. Emotions were high with shoving and yelling. A large police presence kept the two sides apart. 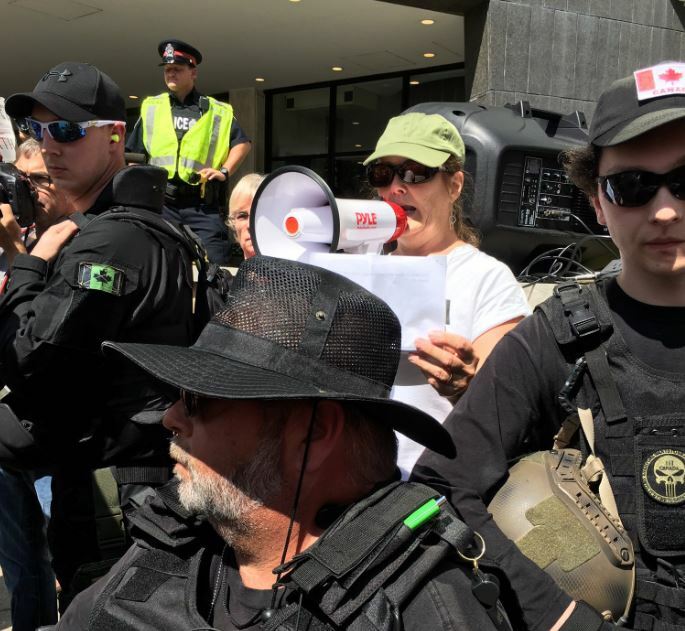 A group called the Patriots of Canada Against the Islamization of the West (PEGIDA) had organized the rally on social media. Other far-right groups — including one called the Three Per Cent — had supporters there.